Adenosine is a natural ingredient used in cosmetics and personal care products that functions as a skin-restoring and soothing agent, as well as an anti-aging ingredient. It may also promote faster wound healing. Adenosine is a purine nucleoside composed of a molecule of adenine attached to a ribose sugar molecule. Derivatives of adenosine are widely found in nature and play an important role in biochemical processes. One example is adenosine triphosphate (ATP) , which is considered by biologists to be the energy currency of life. This high-energy molecule stores the energy we need to do essentially everything we do. Adenosine is also a medication that is used to treat certain heart conditions. 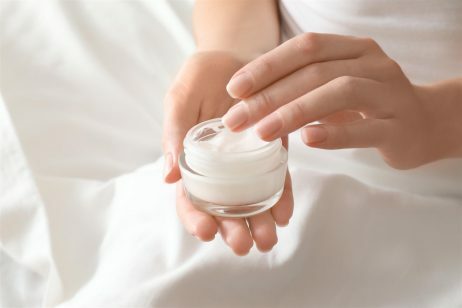 While adenosine is naturally present throughout the human body, the adenosine used in cosmetics and personal care products is derived from yeast. In cosmetics and personal care products, adenosine functions as a skin-restoring and soothing agent, as well as an anti-aging ingredient. It may also promote faster wound healing. Studies have shown that topical application of adenosine can be an effective method for providing anti-aging benefits. It decreases the appearance of wrinkles by energizing the skin’s surface, resulting in a smoother, more youthful complexion. For this reason, adenosine is often found in anti-aging skin care products. A 2006 study published in the International Journal of Cosmetic Science evaluated the anti-wrinkle efficacy of adenosine-containing products. In this blind, randomized, placebo-controlled study, 126 female volunteers between 45 and 65 years of age were provided with two of three products (cream with adenosine, dissolvable film with adenosine or placebo) to be applied twice daily. After two months, both adenosine-containing products led to significant improvements in skin smoothness and decreased appearance of crow’s feet. Adenosine-containing cream also significantly improved glabellar frowns (wrinkles between eyebrows). One possible mechanism for adenosine’s anti-wrinkle effect is through collagen production. Research indicates that adenosine, acting at A2A and A2B adenosine receptors, stimulates collagen matrix formation directly. Collagen is the most abundant protein in the human body. It is the major component of connective tissues that make up several body parts, including tendons, ligaments, muscles, and skin. Collagen plays a role in strengthening skin, plus may benefit elasticity and hydration. After the age of 20, a person produces about 1 percent less collagen in the skin each year. Moreover, environmental free radicals can degrade collagen proteins. Ingredients that stimulate collagen production, such as adenosine, can help maintain the skin’s strength and firmness. The ability of adenosine to stimulate collagen production also promotes wound healing and tissue repair. Collagen is necessary for wounds to heal properly because it gives structure and strength to the skin. Research indicates that topical application of adenosine increases the rate at which wounds close in normal animals. Furthermore, adenosine provides anti-inflammatory effects through inhibiting the inflammatory actions of neutrophils. For this reason, adenosine can be used in skin care products that are intended to treat minor scrapes, cuts, burns, and other injuries. Lastly, adenosine has been shown to promote thickening of hair on people with thinning hair. Studies have found that adenosine increases the anagen phase of hair growth and also increases the hair shaft diameter. Therefore, adenosine treatment may have significant results for hair growth and could help people suffering from androgenic alopecia. 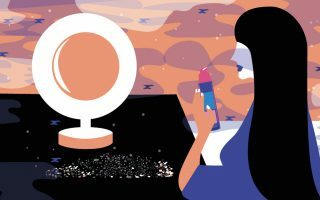 The safety of adenosine as used in cosmetics and personal care products has been evaluated and rated on EWG’s Skin Deep Cosmetic Database. According to the Cosmetic Database, adenosine is rated as a 1 on a scale of 1 to 10, with 1 being the lowest risk to health and 10 being the highest.